Sterling Sleep is one of the few companies in the world to design interchangeable Memory & Latex foam components in their mattresses. Using only the highest quality Plush Memory and Firm Latex Foam. 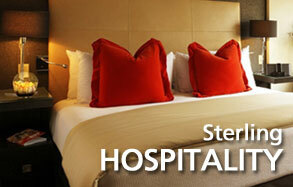 Sterling Sleep has a simple goal of giving customers the same luxurious sleep offered in the finest 5 star hotels. Without sacrificing comfort, this interchangeable sleep system is manufactured with Dual Choice Plush Memory or Firm Latex foam overlays along with the ability to switch foam mattress layers on each side. 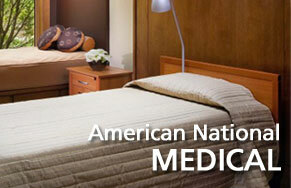 Individuals have the option of creating 3 different levels of firmness. 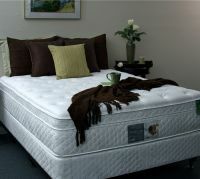 Feel assured the memory/latex foam mattress you purchase is made in a way that reflects care for the environment. 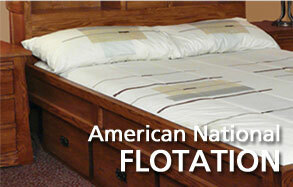 Sterling mattress covers are completely removable, interchangeable and layers can be purchased separately. Replacing the parts and not the mattress means less waste for our environment and extends the comfortable service life of the mattress. Why Sterling? Better Design, Better Program. 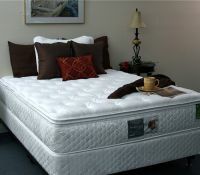 The luxurious feeling of plush memory foam and firm latex with the added comfort of a Pillow Top. Individual firmness choices for each sleeper in Queen and King sizes. 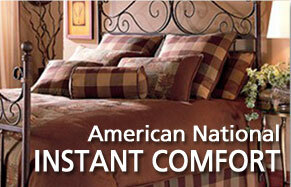 The luxurious feeling of plush memory foam and firm latex with the added comfort of a Euro Top. Individual firmness choices for each sleeper in Queen and King sizes.